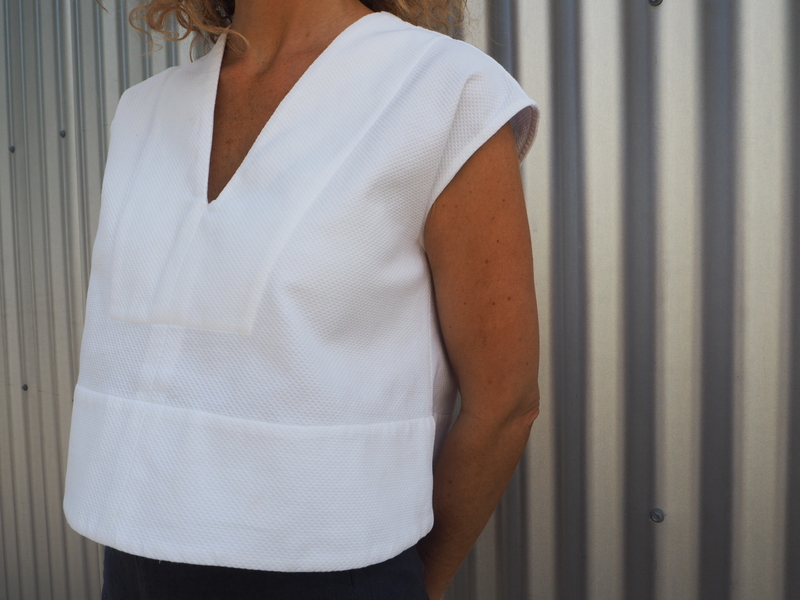 Meet our latest Tessuti pattern – the Leni Top! 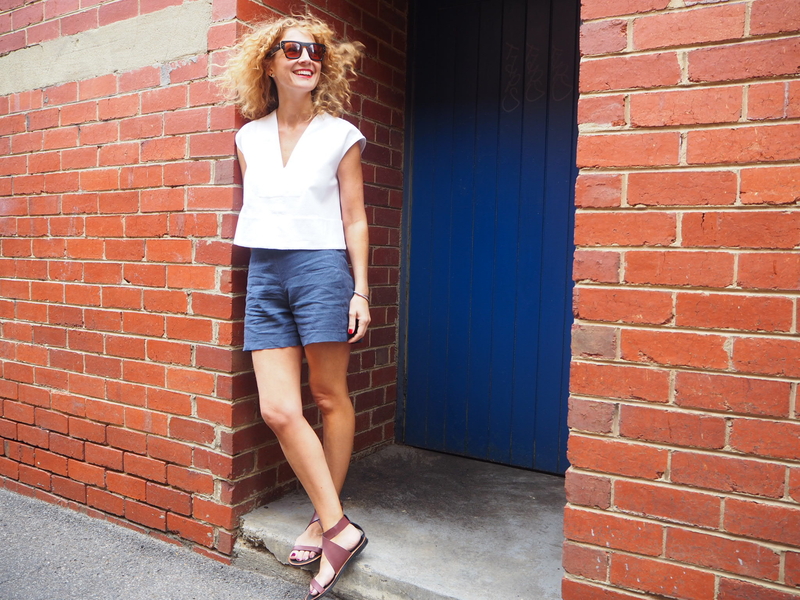 After we released our much-loved Esther Shorts pattern in 2014, we really wanted to create a simple, classic cropped style that looked good with a high-waisted garment. A few years ago we went on a little journey with Leni – planning her, testing her and then, sadly, dropping her – and I was lucky enough to score this black sample that we made up at the time. 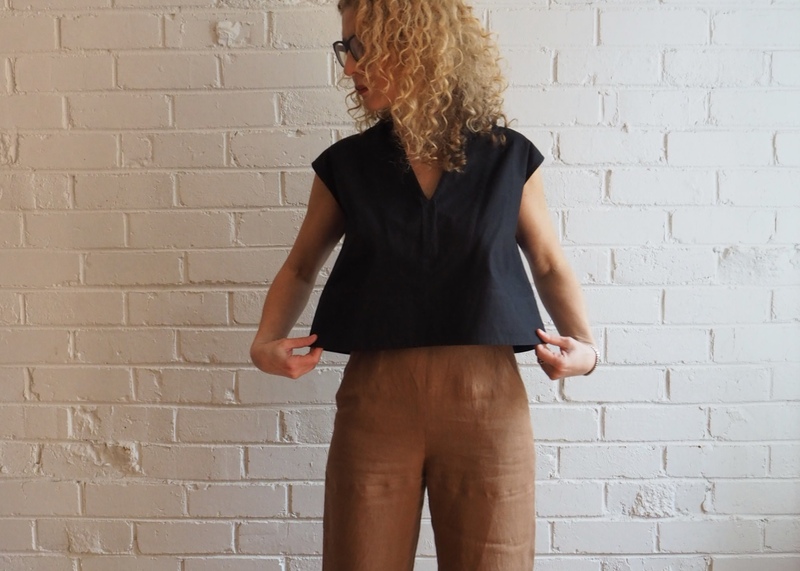 When I sewed up my much loved New Look 6459 pants last year, I loved how they looked with Leni. 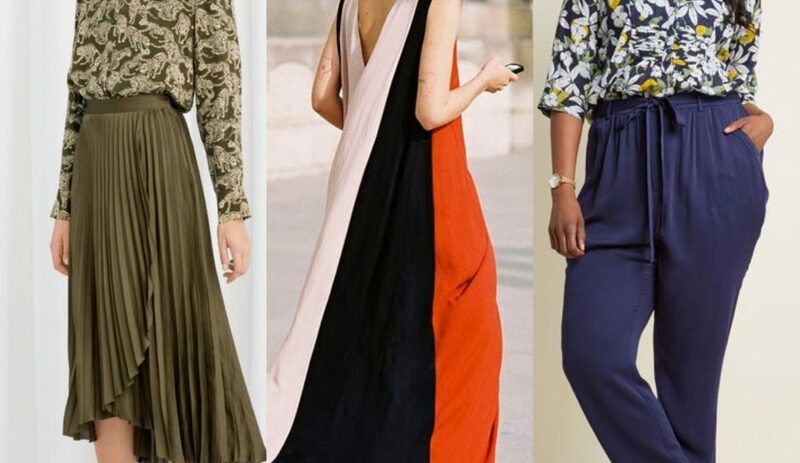 This meant she was on pretty high wardrobe rotation and every time I wore the sample to work I would inevitably be asked one of two questions – “Did you sew that?” or “Is that one of your patterns?”. So when the time came to blog/Instagram my New Look pants, I took it as a good opportunity to test the level of pattern interest and put forward the question – is this a style you guys are interested in? Two words readers – People & Power. The resulting feedback made that photo our most commented image on Instagram EVER and that was enough of a reason for us to put this pattern back to the top of our queue. So let us tell you a bit more about Leni. 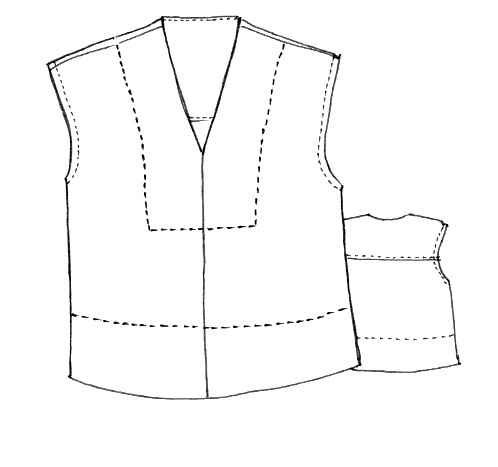 The boxy style features a narrow v-neck with a bib front yoke. 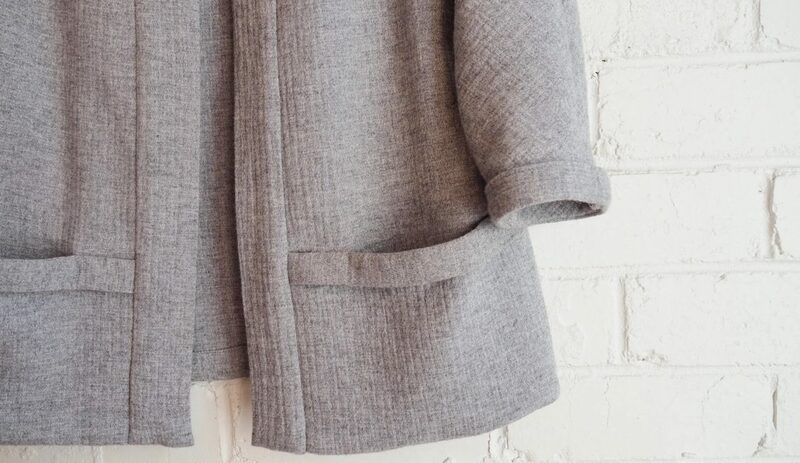 There’s an extended armhole and our favourite feature is that gorgeous, faced deep hem which helps keep structure and shape. 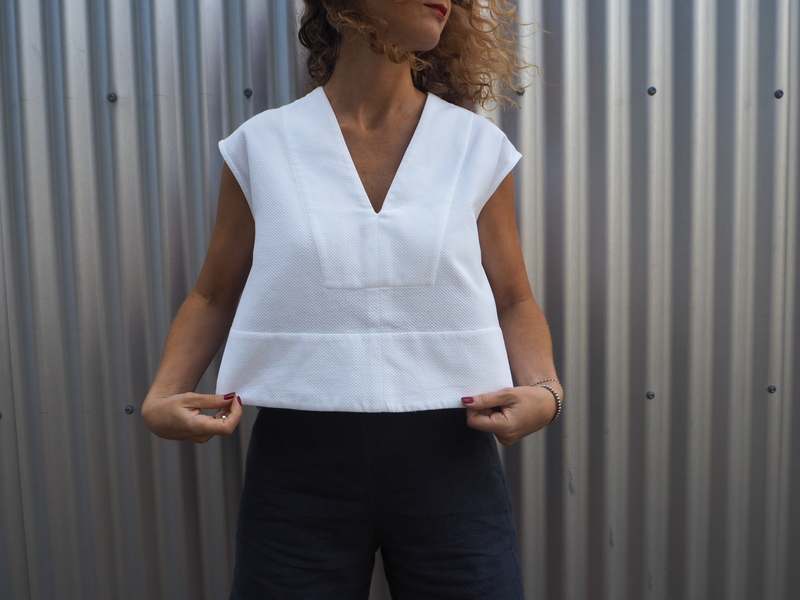 She makes up best in woven fabrics – think good quality, medium-weight linen, crisp cotton (like our Lumpen or Compact range), silk dupion, jacquard, pique cottons and the like. My white version is made up in a now-sold-out pique cotton and my original black sample was made up in this Compact range. The blue shorts are a recently sewn pair of Esther Shorts and the fabric is our Wainscot Navy. 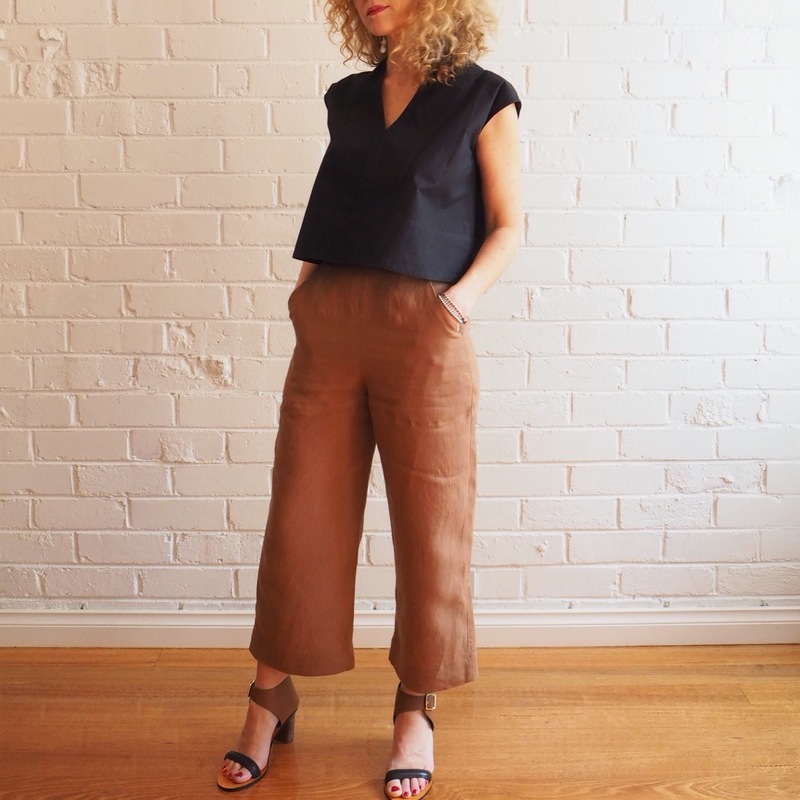 Leni works brilliantly with any high-waisted style of pants, shorts or skirt. 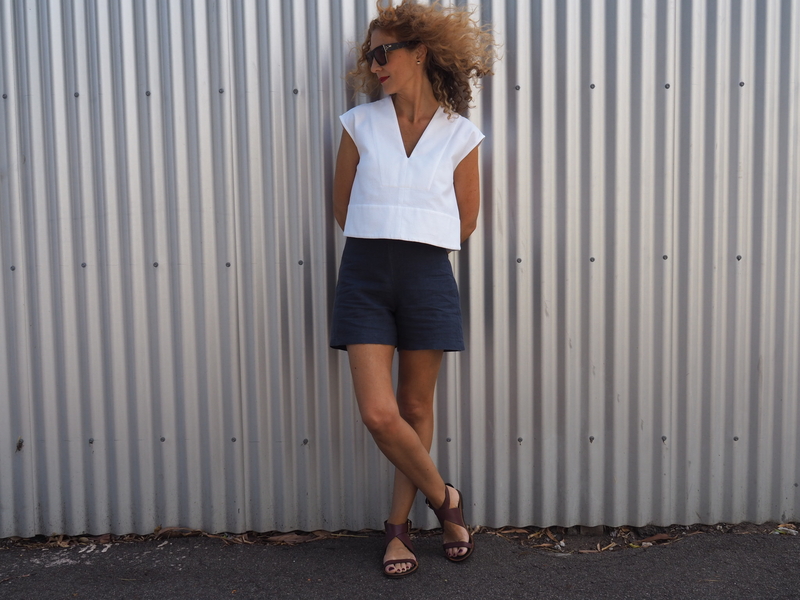 The Leni Top comes in (Australian) sizes XXS-XL and is now available in both hardcopy and PDF copy shop/print-at-home version. And hey, welcome to our new look blog! Much as our old one had served us so very faithfully since 2008 (! ), it was looking tired. VERY tired. We hope you like the bigger images and this simpler WordPress format. It looks a million times better on your smartphones and we know from our stats that a LOT of you look at the blog this way. Like everything that is new and different, we’re still getting the hang of it and finding our way around, so expect a bit of tweaking over the next couple of months. I love the Leni! Definitely on my summer-to-sew list! Love it! Leni has shot to the top of my to-sew list. I love the new pattern and the new look blog looks great! Perfect blend of tunic and top. Love this! Although boxy never works well on me, it’s going on the list ? Love the pattern but am also seriously jonesing over the sandles and heels. Care to share about them? Hi Patty – they’re both from Country Road! Thanks Morgan. We think so too! 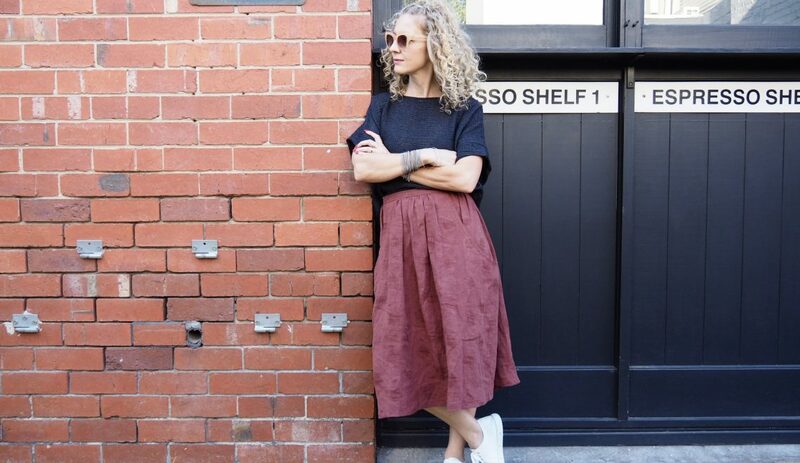 Do you sell patterns directly if I visit your store in Melbourne? Or do you only sell them online? Hi Glenda. Yes – we sell hard copies in all stores. I love the Leni top. How about a dress version?